We are dedicated vacation planners. Whether you are planing to visit Puerto Vallarta with your family, or on your honeymoon trip, or as an incentive trip for your company, Royale Tours will ensure that you enjoy the best that Puerto Vallarta has to offer. Puerto Vallarta is a very diverse and exciting destination and probably one of the most wonderful places you will ever visit. You will find hotels of excellent International standards and despite the fact that you might be tempted to lie by the pool for the entire stay – don’t! This resort has too much to offer. Make an effort to get out and see the authentic charms of this Mexican town; feel the buzz; savor the smells, talk to the people and be absorbed by the culture. There are some great beaches around too. 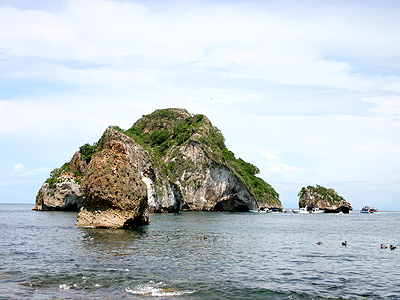 Caletas, Quimixto and its surrounding beaches are our favorites to the south. There are also amazing, deserted beaches north of Vallarta. In the winter months, you have the opportunity to see the whales (an incredible experience!) and the dolphins, while manta rays and turtles can be seen year round. Also, be sure to look behind the Town to see the lush jungle and rain forests of the Sierra Madre mountain range. Whether by foot, by horseback or by jeep, the Sierra Madre deserves your visit! If you wish to plan your own vacation, let our division for individual travelers help you to organize it. Check our options for excursions and transfers, and reserve on line! If you are a conference planner or incentive specialist, please check our page about the services to incentive and corporate programs and submit your request to us now ! 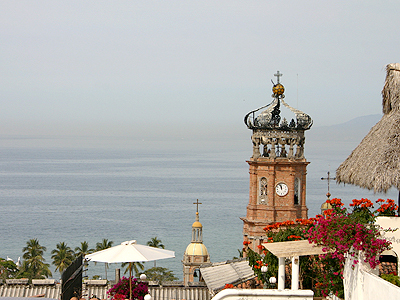 Royale Tours is your number one source on everything you need to know about traveling to Puerto Vallarta. We offer a comprehensive range of services both to individual travelers as well as to special groups – at competitive rates. We would love to be your host in Puerto Vallarta and make your Puerto Vallarta vacation a unique, fun-filled experience!